Acute hepatopancreatic necrosis disease (AHPND) is a recently discovered shrimp disease that has become a severe threat to global shrimp-farming industry. The causing agents of AHPND were identified as Vibrio parahaemolyticus and other vibrios harboring a plasmid encoding binary toxins PirAvp/PirBvp. However, the epidemiological involvement of environmental vibrios in AHPND is poorly understood. 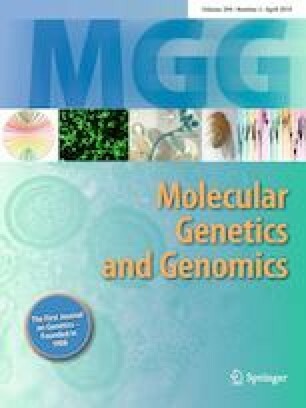 In this study, with an aim to reveal the possible transmission route of AHPND-causing V. parahaemolyticus, we sequenced and analyzed the genomes of four pairs of V. parahaemolyticus strains from four representative regions of shrimp farming in China, each including one strain isolated from diseased shrimp during an AHPND outbreak and one strain isolated from sediment before AHPND outbreaks. Our results showed that all the four shrimp-isolated and three of the sediment-isolated strains encode and secret PirAvp/PirBvp toxins and, therefore, are AHPND-causing strains. In silico multilocus sequence typing and high-resolution phylogenomic analysis based on single-nucleotide polymorphisms, as well as comparison of genomic loci in association with prophages and capsular polysaccharides (CPSs) consistently pointed to a close genetic relationship between the shrimp- and sediment-isolated strains obtained from the same region. In addition, our analyses revealed that the sequences associated with prophages, CPSs, and type VI secretion system-1 are highly divergent among strains from different regions, implying that these genes may play vital roles in environmental adaptation for AHPND-causing V. parahaemolyticus and thereby be potential targets for AHPND control. Summing up, this study provides the first direct evidence regarding the transmission route of AHPND-causing V. parahaemolyticus and underscores that V. parahaemolyticus in shrimp are most likely originated from local environment. The importance of environmental disinfection measures in shrimp farming was highlighted. Qian Yang and Xuan Dong have contributed equally to this work. The online version of this article ( https://doi.org/10.1007/s00438-019-01559-7) contains supplementary material, which is available to authorized users. We thank Ms Huqin Tian for the sampling assistance. Conceived and designed the experiments: QY, XD, and SF. Performed the experiments: QY, GX, and PZ. Data analysis and draft of the manuscript were performed by SF, QY, XD, JS, YW, and JH. All authors approved the final version of the manuscript for submission. This work was supported by the National Natural Science Foundation of China (Grant No. 31702385), the Postdoctoral Science Foundation of China (Grant No: 2017M612380), the National Natural Science Foundation of China (Grant No. 31802342), the National Key R&D Program of China projects (2017YFB0404000), the Pilot National Laboratory for Marine Science and Technology (Qingdao) (No. QNLM201706), the Liaoning Ocean & Fisheries Project (2018-15), the China ASEAN Maritime Cooperation Fund Project (2016-2018), and the China Agriculture Research System (CARS-48).